The Commissioner of Customs (Airport & Administration), Kolkata has been formed in July 1997 consequent to the re-organisation of the Commissionerate of Customs & Central Excise vide order no. A.11013/34/96-Ad.IV dtd. 15/07/1997. The Commissionerate of Customs (Airport & Administration), Custom House, Kolkata has jurisdiction over Netaji Subhas Chandra Bose International Airport, Kolkata Air Cargo Complex and general administration of customs employees of all cadres. The N.S.C.B. International Airport, Kolkata was originally named as Dum Dum Airport and was commissioned in 1924 with the arrival of DAKOTA-3 as the first Aircraft. From 1960 to 1969 this Airport continued to be the No.1 Airport in India in terms of Traffic and Passengers. It was renamed as Netaji Subhas Chandra Bose International Airport in MARCH 1995 and now it is the busiest Airport in the country. The Kolkata Airport Air Cargo Complex was commissioned as the first cargo terminal in the country in the year 1975. This organization is responsible to facilitate Importer/Exporters and to enforce customs laws as well as other associated Act and provisions related to the clearance of Imported and Exported goods. Clearance of Import/Export goods are being processed through on-line ICES (Indian Custom EDI System) which provides door step facility to the Importers/Exporters. We have introduced “Sevottam”, i.e. “Public Service Delivery Excellence Model” under which we have endeavored to raise the bar of our excellence and to meet expectation of trade and Industry. The Airport & Administration Commissionerate is one of the Commissionerate under the Chief Commissioner of Customs, Kolkata. It is an independent Commissionerate. There are various departments/Units under this Commissionerate. The details of wings of this Commissionerate is mentioned in Annexure “A” and organizational structure of this Commissionetate is mentioned in Annexure ‘B’. General administration, recruitment, promotion, transfer and posting, deputation, maintenance of staff strength, training, allotment of Govt. accommodations, maintenance of APARs, issuance of different types of NOC etc. All issues pertaining to vigilance matters. Submission of preliminary enquiry report related to complaints against employees, processing of Immovable Property Return from Govt. employees, issuance of NOC to employees in respect of acquisition/ transfer of movable and immovable property and foreign tour etc. Procurement/distribution of computer hardware and software, maintenance of departmental hardware and software. Information & intelligence gathering as well as exchange of information/ intelligence related to Airport with other agencies, rummaging of aircrafts, investigation of all airport cases and issuance of show cause notices and adjudication thereof and issuance of disposal order of all seized/confiscated goods & process for sanctioning of Prosecution. Processing of Adjudication matters at the level of Commissioner and issuance of final order and issuance of disposal order of seized/confiscated goods. General administration, receiving of Sevottam etc, clearance of import/ export cargo, investigation of import goods / duty evasion/ IPR, monitoring of export obligation in respect of EPCG/Advance authorization, monitoring of bank realization after export, disbursement of drawback claim against exports made & other related issue, audit of post clearance of imports, updating EDI system and ensuring the functioning and proper utilization of various modules of EDI, registration of export promotion scheme licenses and telegraphic release advice facility, finalization of bonds, clearance of un-accompanied baggage. Safe storage of official records, purchase and supply of stationary goods to the various departments. Compiling the performance data of different units of this Custom House and transmission of the same to the respective Ministries/Board. Review the adjudication orders passed by the ADC/ JC, DC/AC and ACS by the proper authority. Filling and follow up of remand petition and prosecution petition before Barasat Court and subsequently higher Courts. Filling and follow up of petition before High Court/Supreme Court in matters relating to disputes in assessment/ clearance of import/export cargoes. Also deals with matter pending with CAT, Kolkata Bench. Filling and follow up of appeal petition before the CESTAT, Kolkata. Receiving and processing of all RTI matters and Order in Appeals. Providing vehicles to officers and departments for official use and maintenance of the departmental vehicles. Receipt and dispatch of all correspondence, purchase of all types of books and manuals for departmental use, matters related to welfare fund of the staff. Sevottam looks after service delivery, implementation of Citizen’s Charter and implementation of grievances redress system. Storage of seized/confiscated goods of international passengers of NSCBI Airport and processing the files related to disposal of the same. Disposal of seized/confiscated goods from NSCBI Airport, Air Cargo Complex. Receipt and processing of all refund cases in respect of Airport Commissionerate. Issuance and renewal of Custom Broker License for clearance of import/export cargo, issuance of permit/license for employees working under the different types of authorized Custom Broker Agencies for clearing the import/ export cargoes in different segments. Co-ordination between Custom Revenue Audit Department under CAG with this Commissionerate. Steps are in progress to further professionalize Customs staff to be able to render efficient and prompt service to the clients almost at par with those rendered by other Customs services in developed countries/WCO/WTO norms. Subject to such conditions and limitations as the Board may impose, an officer of Customs may exercise the powers and discharge the duties conferred or imposed on him under this Act. An officer of Customs may exercise the powers and discharge the duties conferred or imposed under this Act on any other officer of Customs, who is subordinate to him. The work is delegated to various categories of officers within the framework of the law. This Commissionerate primarily functions as a decision making office in respect of clearance of international passengers as well as import-export cargo, administrative control and supervision of all customs employees below the rank of Commissioner and sharing of information & knowledge between inter-commissionerates & with the Board/Ministry. Administering the Government's economic, tariff and trade policies with a practical and pragmatic approach. Maintaining welfare of the employees. All Rules, Regulations, Instructions, Manuals etc. issued by the Govt. 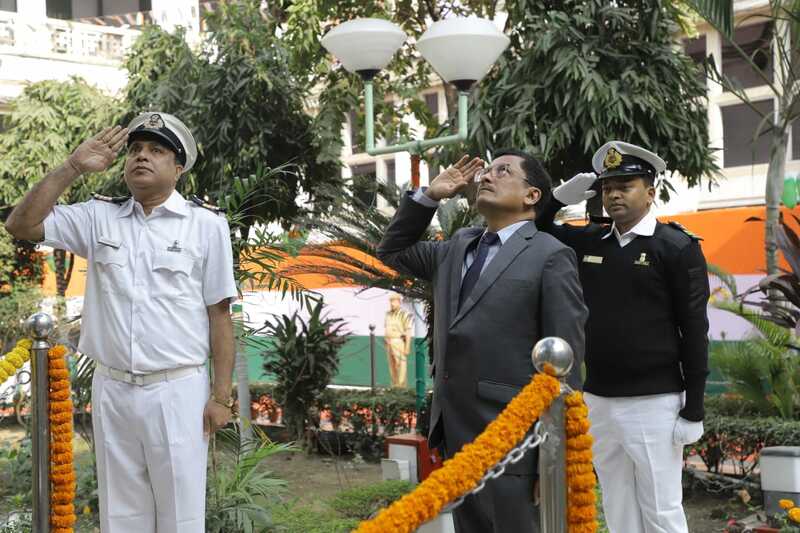 of India in respect of government servants are followed for discharged of duties by the officers. All these particulars are available at the Website www.cbec.gov.in and www.kolkatacustoms.gov.in. The members of public can write to this office on any such issue or seek appointment for meeting, if required. Further e-help line is available on Kolkata Customs web-site www.kolkatacustoms.gov.in. Arrangements have also been made for holding of separate meetings with Customs Clearance Facilitation Committee and Trade Facilitation Committee on regular intervals. 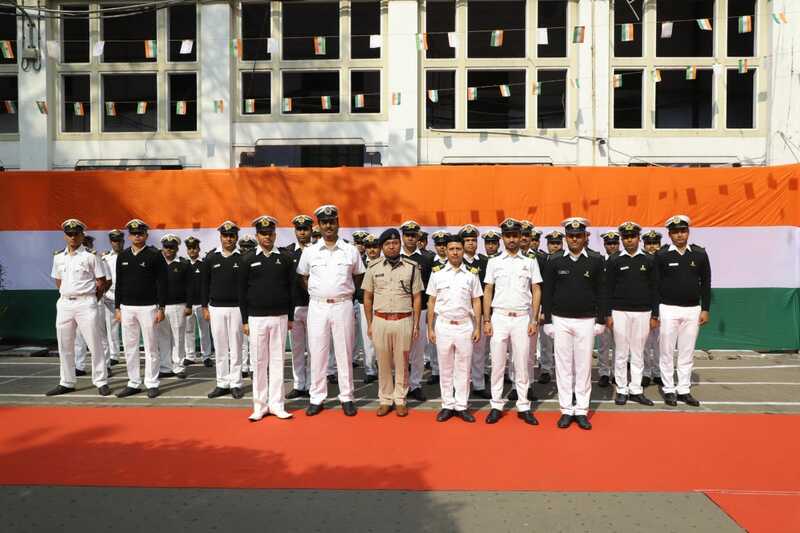 Customs Commissionerate maintains its website http://www.kolkatacustoms.gov.in - wherein salient information pertaining to various field formations is given for general information of the masses at large. In addition, web-site also contains copy of the Public Notices / Tenders /Standing Orders / Establishment Orders / Trade Facilitation etc. issued by this Commissionerate. Public Grievances redressal : As a part of implementation of Sevottam, Public Grievances are taken care of immediately after the Complaint/Grievance appears on the portal as well as physical receipt. The replies/reports are issued to the applicant and also posted on the web-site after approval of the Chief Commissioner/Pr. Commissioner. 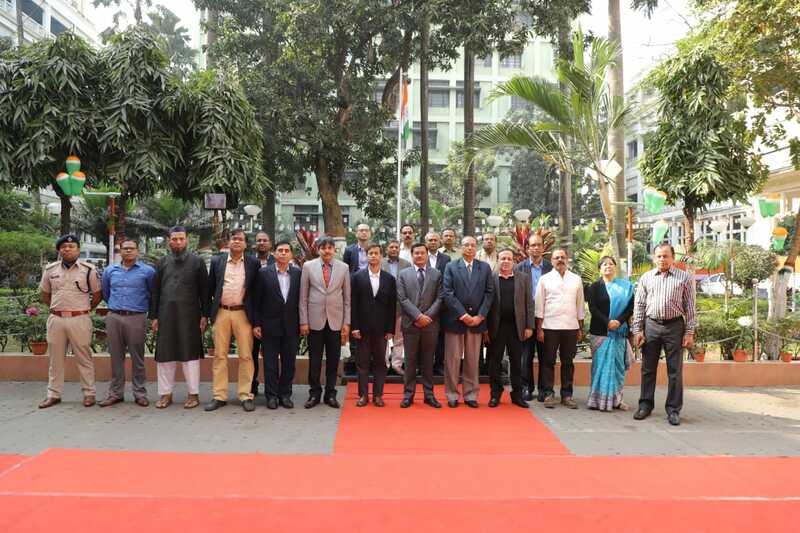 Trade Felicitation Committee meeting : A trade felicitation committee exists in this Custom House and members of the committee includes Calcutta Customs House Agents Association, Cargo Handling Agents/Steamers Agent Association, various custodians, and various stakeholders etc. The main object of the meeting is to discuss problems related to the clearance of import and export goods and to find solution thereto. The meeting is held at a regular interval. The Citizen’s Charter of the Department envisions that the Customs officers shall carry out their assigned tasks with integrity and judiciousness; courtesy and understanding: objectivity and transparency; promptness and efficiency. The officers are also committed to providing every possible assistance to the public and trade in implementation of the Customs policies and procedures. Facilitation for receipt and grievance of complaints/representation at the inward Section in the Commissioner of Customs (A&A). Prompt handling of the complaints/grievances received through CPGRAMS (Central Public Grievances Monitoring System). A directory of its officers and employees: Particulars are available at http://www.kolkatacustoms.gov.in.